We woke up early today for a buffet-style breakfast including a wide variety of Japanese foods. Then we had about an hour to put the final touches on the remaining presentations with our Meiji student groups. At 10:00, we started the second group of presentations. We started with Grant discussing gender disparities in Japan, followed by Shannon talking about LGBT issues. After a discussion reflecting on the two, Alex presented on Japanese social issues and youth involvement, and Erick compared the governmental structures of Tokyo and California and varying reactions to political scandal. After debriefing those two, we broke for lunch which we had all selected the day before with the Meiji students. Fridaouss started us up again after lunch with her presentation on the cultural significance of tea ceremonies in Japanese history. Then Laurie presented on the differences between Japanese and Western art aesthetics. To wrap up that group, Vincent discussed Japanese traditions and ceremonies. After a reflection on that presentation group, we took a short 20 minute break before beginning again. In the final group, Daniel explored Japanese fashion and Kylie reflected on the prevalence and appreciation of Hawaiian culture in Japan. 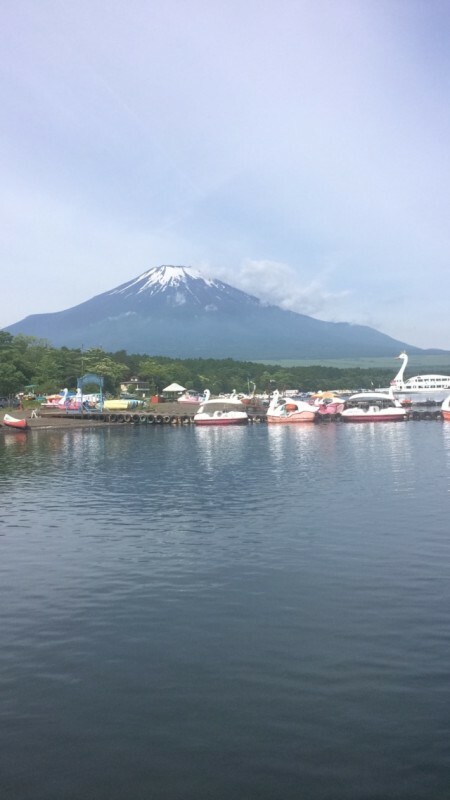 This was the view from the dock of Mount Fuji this morning right after breakfast. We were very lucky to catch some clear skies! Then we had about two hours of free time to relax, play sports, or go to the lake. Some people played basketball, table tennis, bought soft-serve from the shop down the street, rented swan paddle boats, or jumped in the lake. Then at 6:00 we gathered again for dinner which was really delicious fried chicken and salad along with a variety of other side dishes. We had about an hour of free time after that and then we met at 8:00 to go to this clearing in the forest to light sparklers. Some of them were really bright and sparkly, while others were “wabi-sabi” sparklers, so we had to admire the beauty in their imperfection. Then we heard aerial fireworks going off in the distance so we quickly ran down to the lake and a few of us made it to see the end of the show. 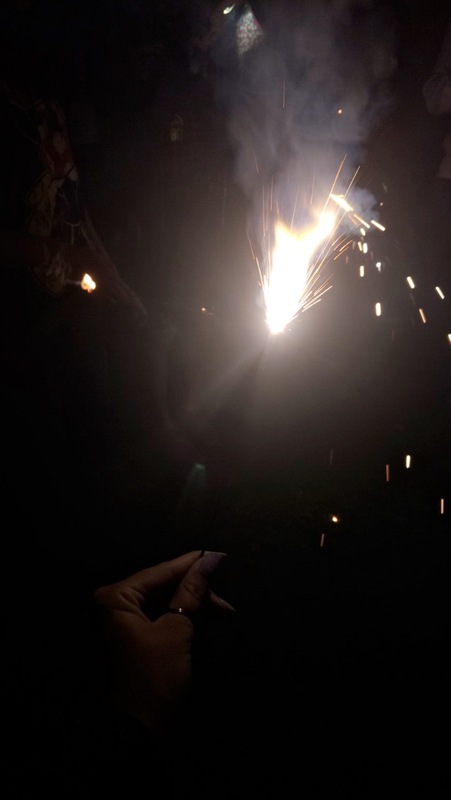 These were some of our fun sparklers, or our “wabi-sabi fireworks” as we called them. Then we went back to the retreat building and those of us who hadn’t gotten to do calligraphy the day before did ours that night. It was quite a challenge but there were Meiji students helping each one of us and they were very patient and instructive. While that was going on, the rest of the students sang karaoke in the next room, with Lon-Sensei and Daniel singing “Piano Man” for the finale. After that, the whole group gathered together for late-night snacks and a dance party. It was a bit difficult to find common music that both groups of students knew, but we had a fun time dancing to both Japanese and American music. We rounded out the dance party with “Party Rock Anthem” which everyone loved and danced to, and one Meiji student, Andy, even showed us a bit of his break-dancing skills. Then we had to clean up the retreat building, but many students stayed up and talked in the dorm building into the early hours of the morning.